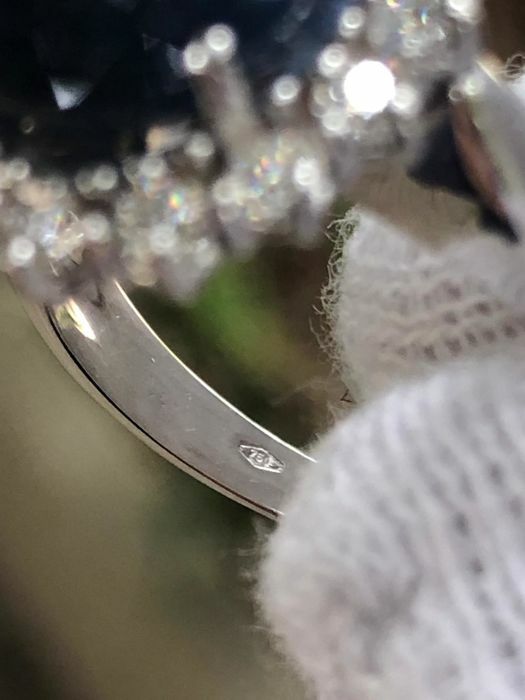 Artisan craftsmanship, made in Italy - handmade. 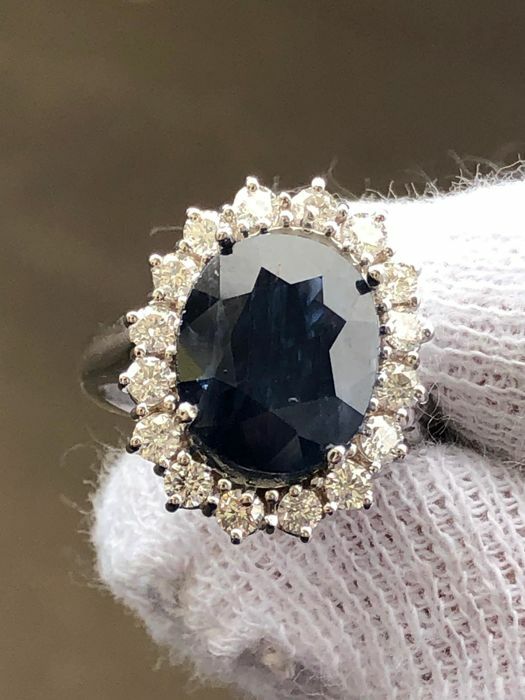 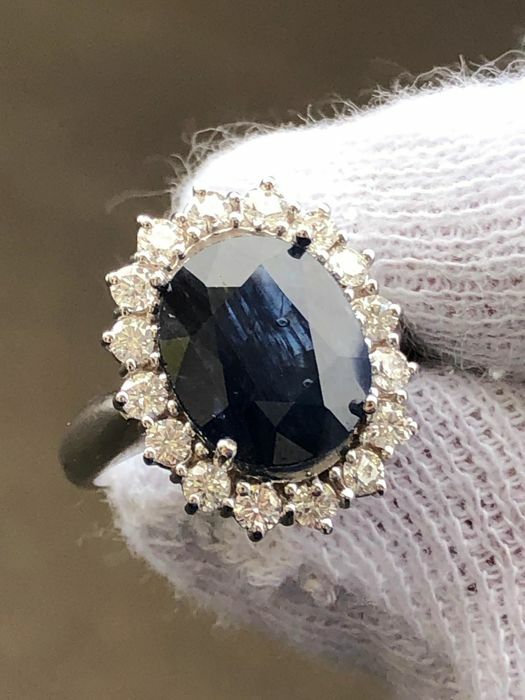 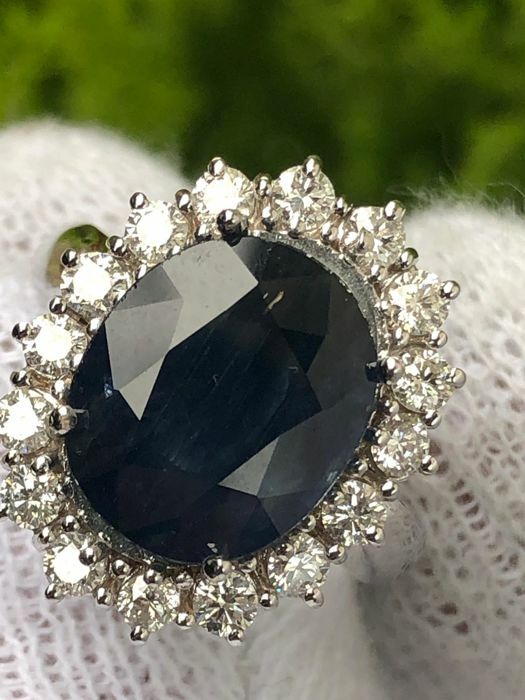 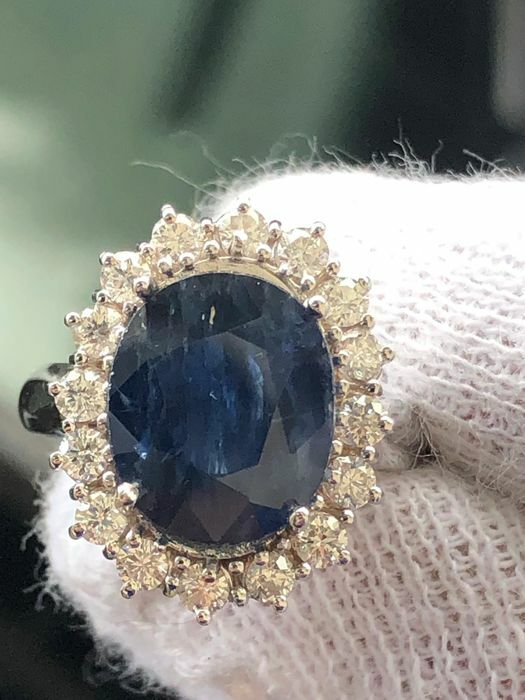 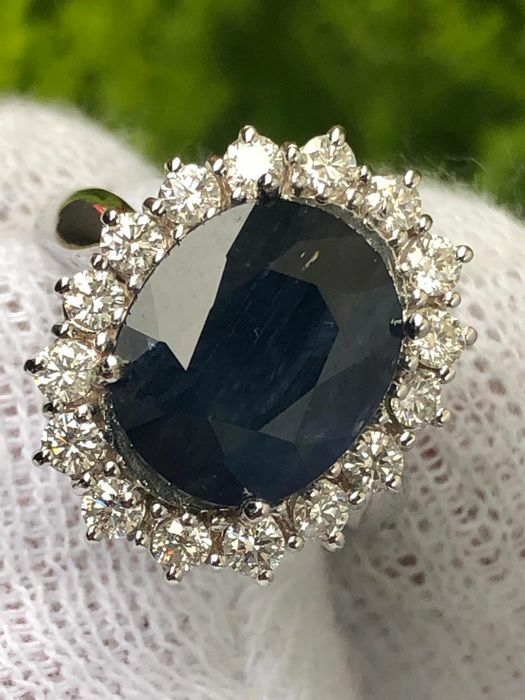 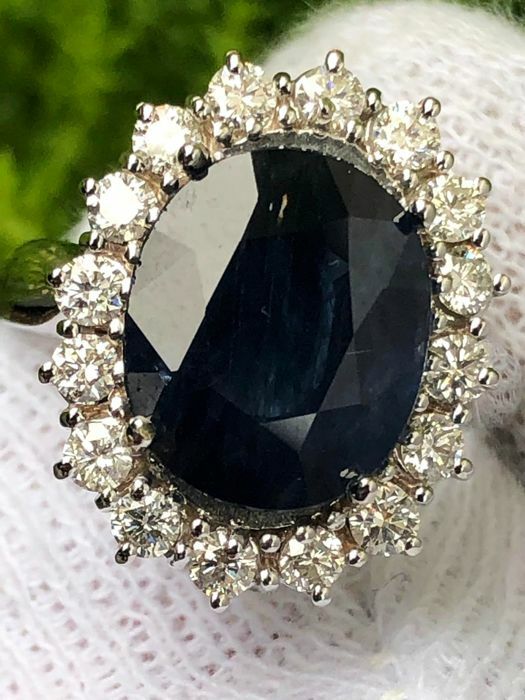 Cocktail ring with 4.45 ct sapphire surrounded by diamonds for 0.70 ct, D/E, VVS. 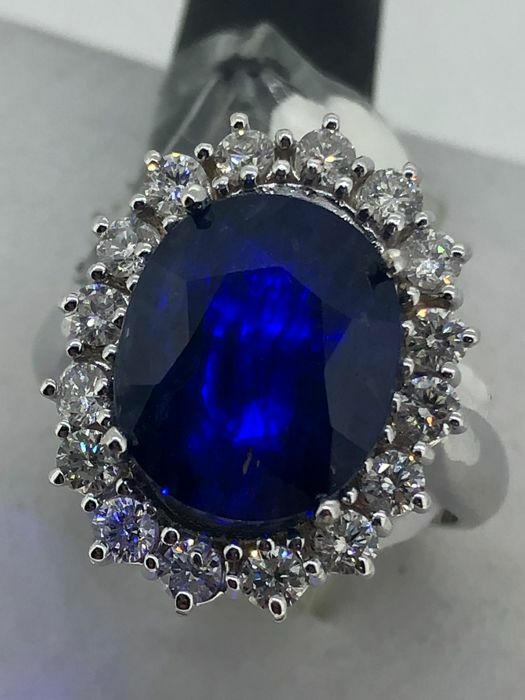 Stone: 4.45 ct sapphire, VVS.